FREE Shipping on the Office Master WS23. Office Master's WS23 work stools are the perfect solution for any industrial workplace or specialty application. Great for working on computers, cars or electronics the Office Master WS23 is easy to clean, low-maintenance and affordable. 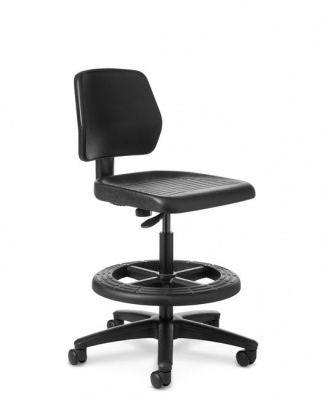 Office Master WS23 with its molded polyurethane backrest and 20" foot-ring. The WS23 offers an ergonomic design, it's easy to see why the WS23 might be the right stool for you! Order your Office Master WS23 online today and save.